A British woman who woke up with a strong Chinese accent – despite never having been to China – has been told it’s permanent. 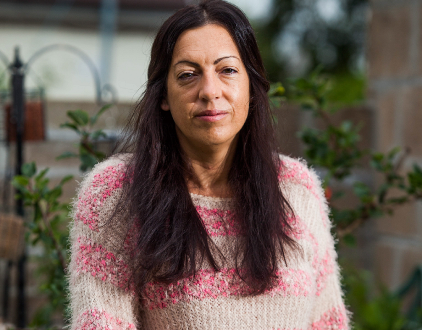 Sarah Colwill, 40, had a stroke, and woke up with a completely different accent. Sarah, of Plymouth, Devon, said: ‘They’ve tried various treatments; they’ve tried everything, but nothing makes a difference. ‘Being told I would be like this forever was a heartbreaking thing to hear. It was a real bombshell. ‘I am still the same person inside. Of course, people who did not know me before have met a totally different person – but I am still Sarah from Plymouth. ‘Sometimes people cannot understand me, which is frustrating. But when my speech is really bad, I just don’t speak. ‘I cannot make my voice sound any different. It is what it is and I cannot change it. It was first identified during the Second World War when a Norwegian woman was hit by shrapnel during an air raid. She suffered brain damage and developed a strong German accent, which led to her being ostracised by her community in 1941.